WELCOME TO the HARDEST, GNARLIEST, and BADDEST RACE IN THE SOUTH. 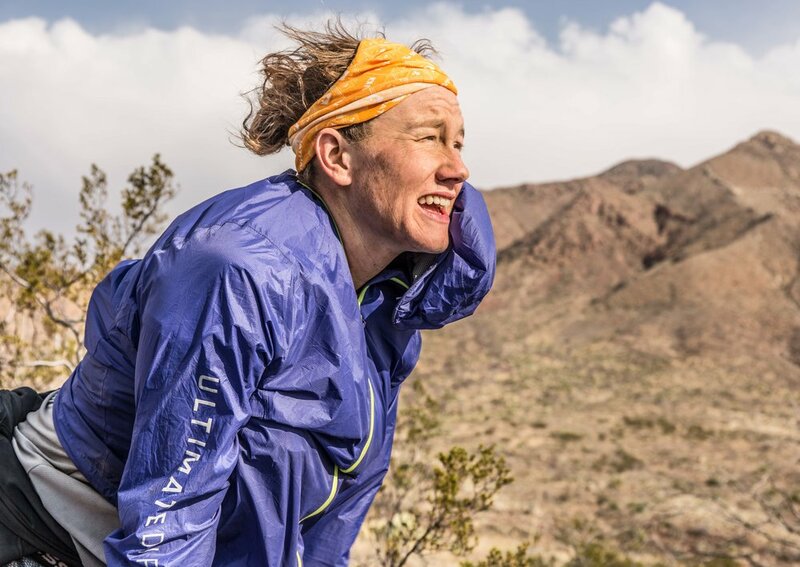 THE ONLY Ex-SKYRUNNING RACE MADE INTO A 100k or 100m IS HERE. 100M will be 3 loops of 33.70 miles with approximately 21,000 feet of gain and descent. The loops will be run the counter clockwise rotation. 100k will be 2 loops of 31.5 miles with approximately 13,500 feet of gain and descent. The loops will be run the counter clockwise rotation. Relay teams for the 100k are 2 people. 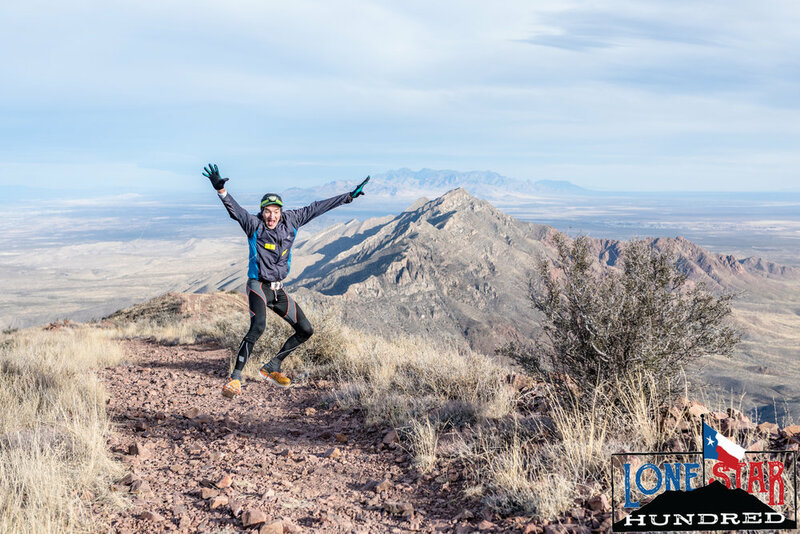 We did a course preview at Austin Trail Running Company. Check it out! 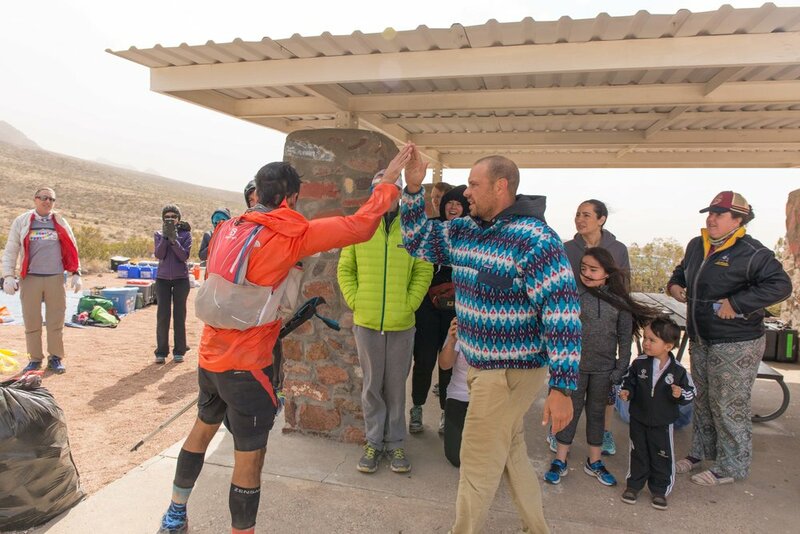 Greg Luffey wrote a great write up on the Franklin Mountains Sky Race. This is about 95% of the course. The only difference is we don't go up Aztec Caves. Instead, we go to Upper Sunset to climb to Mundys. We also don't use the Ridgeline Trail to get to the gap, we use Cottonwood. There is a 36 hour cutoff for the 100M and 35 hour cutoff for the 100k. Once your race begins that is the distance you must finish to receive a medal for that distance. There is no dropping of distances during the race and you will be listed as a DNF no matter what the reason. Online Distance Changes Until Wednesday of Race Week. All other changes must be in person and may not be changed due to sold out distances. Select “Checkout” to go through the process of paying the additional $ or changing lower. There will be a small UltraSignup fee if moving up in distance. During this process you will be dropping from the old distance, so you will need to immediately finish the checkout process to be added back into the the new distance. All loops are run in the same order for 2018. The only difference in the course is that 100k don't do the Shaffer Shuffle. We WILL have a hot food at ALL AID STATIONS (but Mundys). All aid stations (5) are FULL AID STATIONS and will be full stocked with Texas Style goodies. Sodas - Coke, Ginger ale, and maybe some orange as well. We will have everything you need at our aid stations and we usually throw in something to make it fun. We have had sheet cake, pies, watermelon, etc… You never know what the surprise will be! We DO NOT have cups at the aid stations for water. We do our best to limit the footprint we leave at races and on the trails, so we will not have any cups for you. We encourage all of our runners to have reusable cups, bottles, and hydration packs to carry water in. 100 Mile runners may have a pacer for the 3rd loop ONLY. Runners over age 65+ may have a pacer the entire time. 100k runners may have a pacer for the 2nd and final loop. Relay teams cannot have pacers. All pacers MUST have signed a waiver and have a pacing bib. You may pick those up on Friday or Saturday at the pavillion. Crews are allowed at all aid stations provided you can get there. There will be access to the west side of the mountain for crewing. There will be designated parking lots for this and you will have to walk 1 mile to each of those aid stations. A mile in and a mile back out. There is no spectating for these areas though. They are only for crewing. Pavilion Aid Station is at the most northern part of the park. Upper Sunset Aid Station and Pavilion Aid Station are located inside of the park. Mundys Gap Aid Station is about a 1.5-2.0 mile hike from the Mundys Gap Trail Head depending on which route you take. You would need to HIKE IN ONLY. West Aid -> Hwy 85 North to Colonia Vista take a right. Left on Sotol to Canyon Ridge. We will make appropriate places to stop and park depending on conditions. This section is VERY ROUGH and we would not be advised to take cars out here unless you plan on walking from when you turn on the road. From the highway it would be about 3 miles. From where we park our trucks it's about 1 mile in. You may have drop bags at the East, West, Pavilion, and Upper Sunset aid stations. Your drop bags can be dropped off Friday night or Saturday by 4:45am. You CANNOT have a bag for Mundys gap aid station. We will bring those bags back post race and have them for pickup on Monday at the race site. We will also bring them back to our warehouse post race as well if you want it to be shipped back to you. There is a $5 fee per person per day for entering in the park. Children under 12 are free. We, TROT, will be collecting the fee from you at packet pickup. You will receive a parking pass. From I-10 going West. Take the exit for 375 East/Transmountain Rd. After 3.5 miles on 375/Transmountain Rd the entrance to the park is on the left, Tom Mays Park Access Road. Latitude (degrees, minutes, seconds) N: 31° 54' 29.40"
Longitude (degrees, minutes, seconds) W: 106° 31' 31.65"
Most hotels in El Paso are between $45-$70. We normally stay at the La Quinta on Remcon. All 100M finishers will receive a belt buckle. The silver is sub 36 hours and the gold is sub 24 hours. All 100K finishers will receive a belt buckle. With any race comes a small army that works behind the scenes to make it all happen. We think volunteers are the MOST important part of any race and we do our best to provide them with the best as well. If you have never been on the other side of the table, give it a shot! Volunteer Shifts Range from 4-8 hours depending on the event. Free park entry, an area to camp, race merchandise, and a provided meal on race day. *If you volunteer for (1) Shift at any race you will get 50% off registration for any of our events in the future. ** If you volunteer for (2) Shifts at one race you will receive A FREE 100% Comped Entry into any one of our races in the future. *** We will also have some shifts for our 100k and 100 mile races that we will give 100% comped entries for as well. If you would like to volunteer please email us at volunteer@trailracingovertexas.com and we will send you a schedule of shifts that can be worked as well as a description of the jobs and what they entail. We will be providing VOLUNTEER TRAINING as well once you have been selected for the shifts.